Home > What is TEJO? 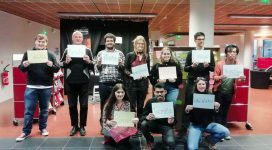 The World Esperanto Youth Organization (Tutmonda Esperantista Junulara Organizo, TEJO) is an organization of young Esperanto speakers with individual members and country sections in around 40 countries. 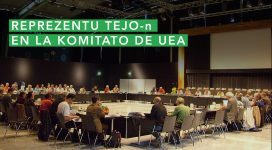 TEJO itself is the youth section of the Universal Esperanto Association (UEA: Universala Esperanto Asocio). Its main seat is located in Rotterdam, The Netherlands. TEJO organizes an International Youth Congress (IJK) annually in a different location in the world. Other events organized by TEJO include seminars and training in various topics. TEJO publishes the socio-cultural newspaper Kontakto and the online newsletter TEJO Aktuale. Among the most well-known TEJO projects, there is Pasporta Servo – a social network that integrates people who offer free hosting in their homes and those who would like to use this possibility. 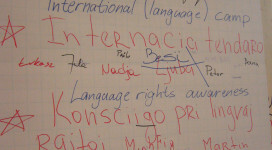 The organization fights for the cultural richness of linguistic diversity, human rights and particularly their linguistic side and global understanding through easy access to international contacts. 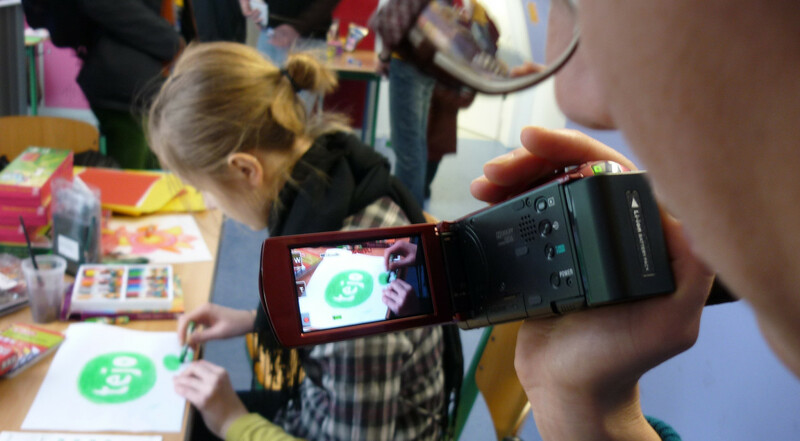 improve the knowledge and organizational skills of its activists and encourage their cultural development; and to yield young forces to the Esperanto movement. TEJO (back then World Youth Organization, TJO: Tutmonda Junular-Organizo) was founded in 1938 during the 1st International Youth Meeting (IJK: Internacia Junulara Kongreso) on the initiative of two Dutch teachers, Elisabeth van Veenendaal and her husband, with the purpose of vulgarizing Esperanto, organizing international meetings and working about Esperanto in schools. Its activation was soon stopped during World War II and was reaffirmed in 1945 by means of a reissue of the magazine La Juna Vivo and the International Youth Congress held in Ipswich, in England, in 1947. 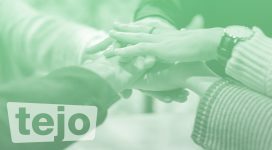 Until the beginning of the 50s TEJO transformed into a totally youthful association and in 1952 it changed its name to the one we know today – Global Esperanto Youth Organization (TEJO: Tutmonda Esperantista Junulara Organizo). In 1956 TEJO became the youth section of UEA. The emblem of TEJO was created by Mark Rean.